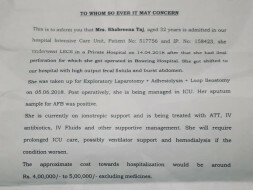 As Shabreen Taj under went abdomen surgery, when she was pregnant she had TB for 3 continuous months, Her first surgery took place in bowering hospital while ongoing operation she used to cough, that time while operating the doctors didn’t realise that she had TB and there were holes too. Later the pus started forming and flowing outside her abdomen. The doctors were clueless, when she under went second surgery the doctors realised her abdomen was infected. 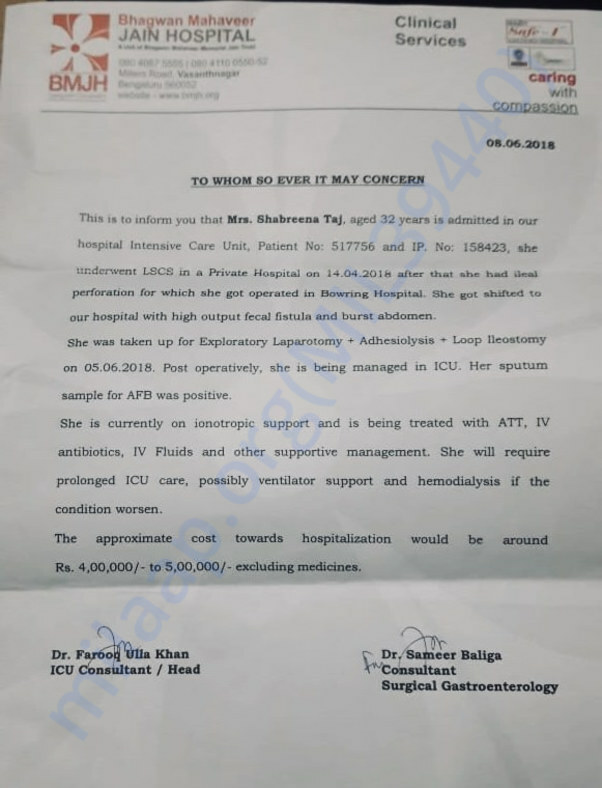 The third surgery was done on Monday, June 11, 2018 and kept her for observation, on the other hand the cost is coming up to 5,00,000 and her family isn’t able to bear the cost as her husband isn’t employed but has a general store also he has 4 daughters studying in school. 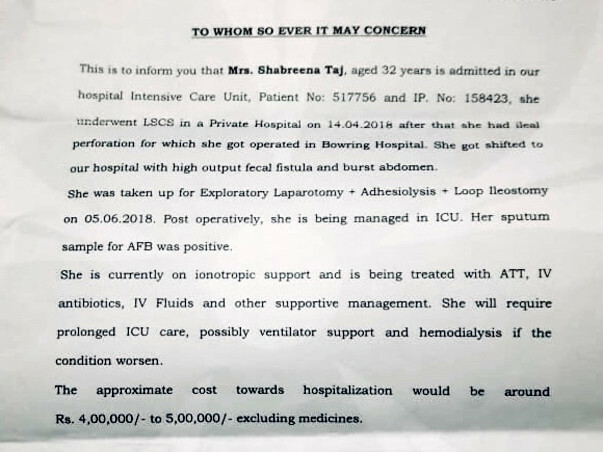 So far there’s no funds in place, request you all to circulate with as many people as you can and help raise funds for Shabreen Taj’s speed recovery. We are very thankful and appreciate for your kind supports and help on raising a funds.